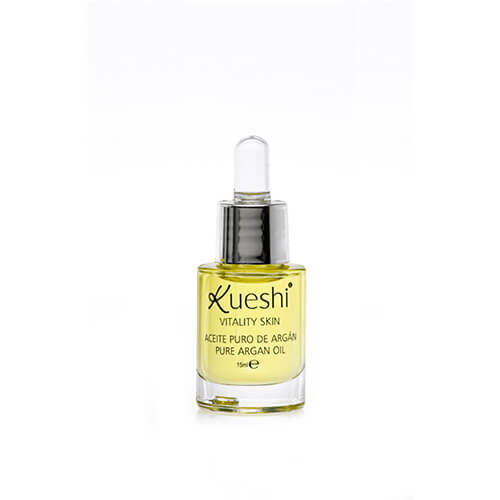 Kueshi Vitality Skin Pure Argan Oil has anti-ageing regenerative effect on the skin. This vegetable oil is ideal for combating the signs of ageing providing elasticity and radiance to the skin. 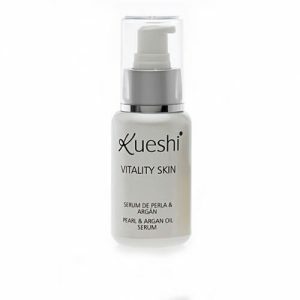 Kueshi Vitality Skin Pure Argan Oil has anti-ageing regenerative effect on the skin. This vegetable oil is ideal for combating the signs of ageing providing elasticity and radiance to the skin. 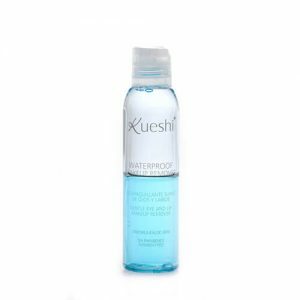 It is characterized by not clog pores, integrating perfectly into the lipid layer of the skin, as it is composed mainly of fatty acids related to it. Pure Argan Oil in a superb source of vitamin A, an antioxidant that intervenes on the renewal of tissues, and vitamin E, a protective tissue of the skin against oxidation that neutralizes free radicals. Also possesses 80% of unsaturated fatty acids, which played an important role in skin regeneration. Suitable for all skin types. 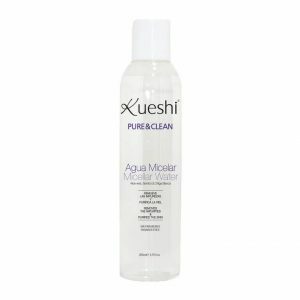 Apply a small amount on clean face well, and make a gentle massage.